Can the Sydney Airport Gateway plan finally unlock road congestion? Sydney Airport's notorious traffic chokepoints could become a thing of the past under the Sydney Gateway plan, which has received the go-ahead from the NSW state government. 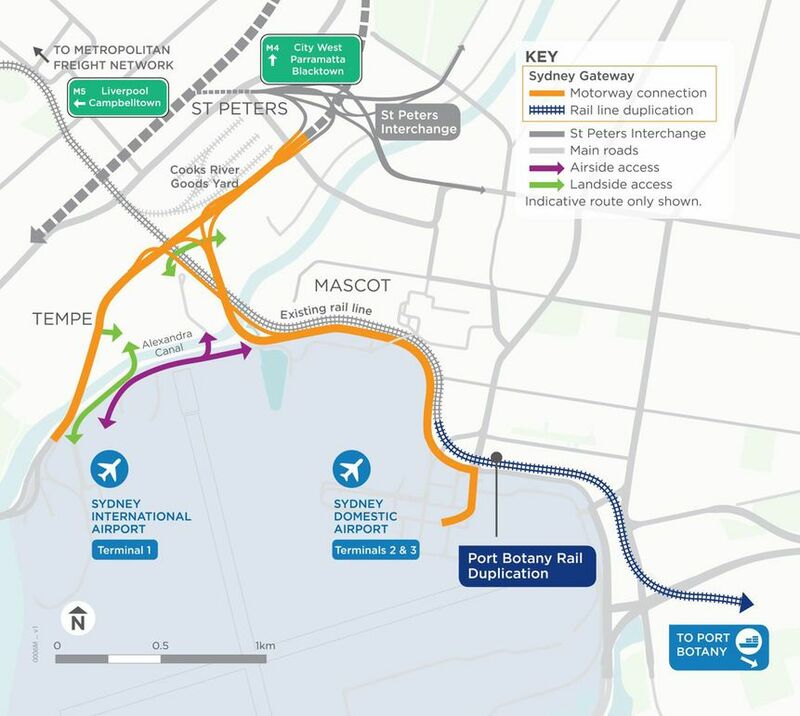 The Sydney Gateway, slated to open in 2023, will create direct motorway access to the domestic and international terminal precincts from the WestConnex M5 Interchange at St Peters. A spokesperson for the NSW Government has confirmed to Australian Business Traveller that the airport motorway link will be toll-free. “With Sydney Gateway completed, drivers will be able to travel between Penrith or Parramatta and the Domestic Airport terminal without stopping at a single traffic light,” said NSW Premier Gladys Berejiklian. The entrance to the domestic T2/T3 precinct will see a dedicated flyover from Qantas Drive "to the front door of the terminals," according to a statement from Sydney Airport. Qantas Drive will be widened to three lanes in each direction, while the existing Airport Drive "will become an internal airside/landside road." Sydney Airport will receive an estimated $170 million in 'compensation' from the government for the gateway's use of Sydney Airport land to the north of the airport, with that money being considered for investment "in other transport solutions for the airport including metro, rail and bus services." Approval for the Sydney Gateway comes two weeks after the airport released its 2039 Master Plan for public consultation before being submitted to the Federal Government in 2019. The 2039 Master Plan has promised the likes of a dedicated premium departures wing where well-heeled travellers can stride straight from the kerb through immigration and to the lounge, along with extensions to all three terminals, installing ‘swing gates’ at domestic for international flights and adding two remote ‘satellite’ piers at the airport’s south-east and south-west corners. The Government's document says there will be no toll. 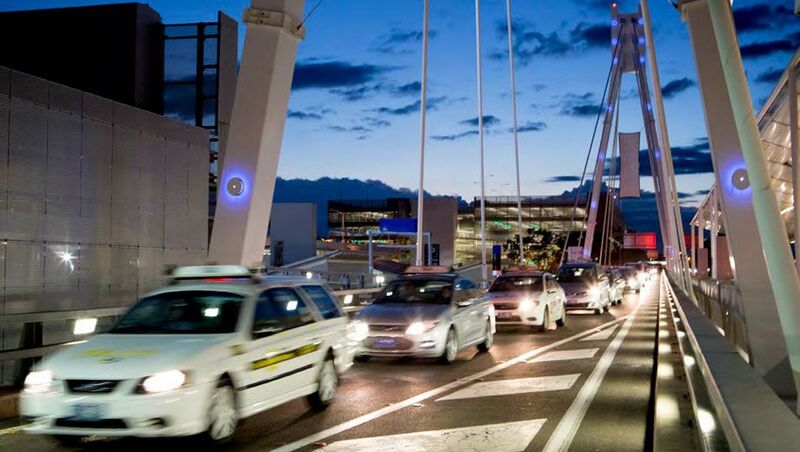 "Sydney Airport's notorious traffic chokepoints could become a thing of the past..."
Hopefully ! Though amazing that Sydney's Second Airport continues to be definitely the minor airport ! I've always caught the train. Quick and easy and comparitively cheap. Park at my local station for free and $20 to the airport. Change trains at Wolli Creek for most. I even enjoy the chance to walk out the flight to reach the station. I also notice an increasing number of business travellers doing the same. This plan though looks a good solution to simplifying the approaches for anyone coming from the west. And the duplicated freight rail line should hopefully take some of the trucks off those roads too. Making the trip longer between terminals doesn't make a lot of sense, nor does seemingly abandoning a lot of the existing Qantas drive. Surely it could be better used to share the load of say one direction anyway. Plus no mention of the major southern cycleway along Alexandra canal, which has been impacted by poor planning there the past few years; looks like more of the same. The $170 million is in compensation for the use of a critical piece of land the roads will be built on that is owned by the airport. There is an opportunity cost there if SAC wanted to use that land for more parking, say. They would forgo years of income by its loss. But, as you say, it helps solve a problem they create so maybe they should just gift that land. Worth noting that the $170 million comes with strings requiring SAC to spend it on other transport related infrastructure, so in effect the government is doubling the impact of its dollars. Doesn't matter what they do, there is still only 1 1/2 lanes to T1. Every weekend the traffic report describes traffic at a standstill. Don't fly on weekends! And why is Sydney Airport the only one in the world that doesn't have airline names out the front? Drivers have no idea where to drop people, which just adds to the congestion. Simple question, simple answer. NO...!!! Yay, for the expensive train. The train is a great way to get to/from the airport - especially if road traffic during peak hour is a problem. The only downside is that when you get off the train at the domestic airport so are many others all trying to get through security at once. It still significantly reduces the chance of any delays if there is road congestion en-route. i now book flights that leave either before 9am or after Midday. Getting to the airport just to be dropped off is a disgrace. I know im spoilt as most of my travel is to Singapore and Changi is amazing for pick up and drop off, but even LAX was better 2 months ago than Sydney. Sydney needs another terminal with its own access to alleviate the congestion issue. Even the extra lane to access international hasnt helped as they merge to a choke point and cars are trying to change lanes to get to where they want. Comment on "Can the Sydney Airport Gateway plan finally unlock road congestion?"